Ryan A. Genest was born in Joliet, Illinois in 1966. He attended Southern Illinois University at Carbondale earning his Bachelors Degree in Political Science in 1989. He attended Drake Law School in Des Moines, Iowa earning his Law Degree in 1992. He has been in private practice since graduating from Law School. He practices in domestic relations (including adoption) and criminal law. He is a referral attorney for Catholic Council for Social Concern, Inc. He has represented clients throughout the state, including all of the counties in the central Iowa area. 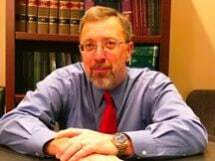 He is a member of the Iowa Trial Lawyers Association and the Iowa and American Bar Associations, Family Law Section.